Greg Glaser has a Bachelor’s degree in Information Systems Technologies and an Associate’s degree in Fiber Optic Technologies. 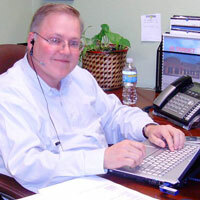 He has worked in Computer Systems and the telecommunications industry for the past 20 years. Greg has started and operated a total of five companies over the past 15 years - three of which were led to increased sales and were subsequently sold at a profit. He continues to reside as CEO and primary stock holder over the remaining two companies. 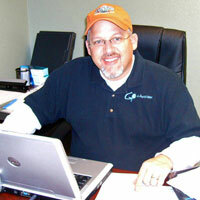 He is also a major stock holder and part of the innovative Engineering Design Team here at ACT Communications. As ACT president, Greg has continually pushed for innovative customer solutions using industry-recognized production processes. As a result of this leadership, our policy of fully testing 100% of product before shipping has resulted in one the highest "out of box" success rates in our industry. Ron Glaser has worked for ACT Communications, General Electric (GE), Current Technology, Joslyn Protection and Environmental Protential (EP). He has held a wide range of key positions in his 28-year career including Director of Engineer, VP of Engineering Sales and Marketing and President of multiple companies. While Ron has strong experience in technical sales and general business background, all supported by his MBA in Marketing, his real strengths have shown in his Power and Telecom Protection Engineering background. This background includes experience in both R&D and in live applications and has driven 6 Power Quality and Telecom Surge Protection patents issued in his name. Ron leads the team of engineers at ACT Communications to design and build top-quality commercial and industrial power quality products. His extensive experience also allows the ACT team to quickly respond to customers' customized requirements with solid product solutions in a cost effective manner.